The garage door needs to be painted once every while to maintain the aesthetic appeal and more importantly to keep the rust away. Exposed garage doors, especially those made form steel, rust at the points of exposure due to elements of the weather. Painting a garage door might look like an easy task, one that you can do by yourself on a nice sunny afternoon, but we have come to realize that unless you are a professional painter, its best you hire a firm or a professional painter to handle the painting for you. This is because professional painters know how to choose their paints, they will do the painting faster than you can and they save you the trouble of having to go buy painting gear that you might only use once every couple of years. Now, what do you look for when picking a good garage door painter? As with anything else technical, experience is the surest indicator of the level of mastery of a painter. The painter’s experience is shown by his or her portfolio size. When you contact a painter, do not shy away from asking him or her to show you the portfolio. There should be more than a few nicely done paint jobs to convince you that he or she is the right choice. 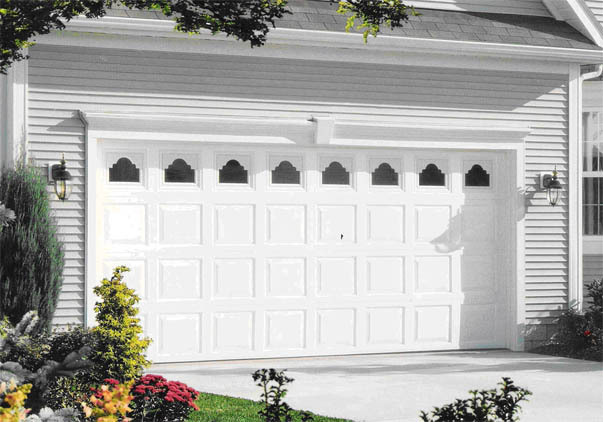 A painter should also have painted a few garage doors that are similar to yours. This is especially important if you have a door that is not common, for example a hard wood paneled door. How knowledgeable is the painter? If you are going to pay someone to paint your garage door, then they should know a lot more about painting than you do. When talking to them, ask a few questions about different paints, how the painting technique fits your garage door type and other small but relevant questions to feel out how knowledgeable the painter is. Often, you don’t even have to know the answers to the questions you are asking; the trick is to find if the painter is struggling with the answers or if he or she knows her stuff. When you invite someone into your home, you need to check to be sure that you have not let in a criminal through you gates. The garage often has a door to the rest of the hose, and you don’t want any person who cannot be trusted to be inside your garage. If you use your garage as a side office or an art studio, the stakes are higher. If you cannot determine the trustworthiness of a painter, the best option is to hire a painting company. This is because companies often run extensive back ground checks on their employees. This saves you the trouble of having to go and check whether an individual painter has a criminal record. Other factors that you might consider are the type of paint and cost of getting the work done. This entry was posted in Blog and tagged Garage Door Painter. Bookmark the permalink.